Thank you for your ongoing support of our small green business. 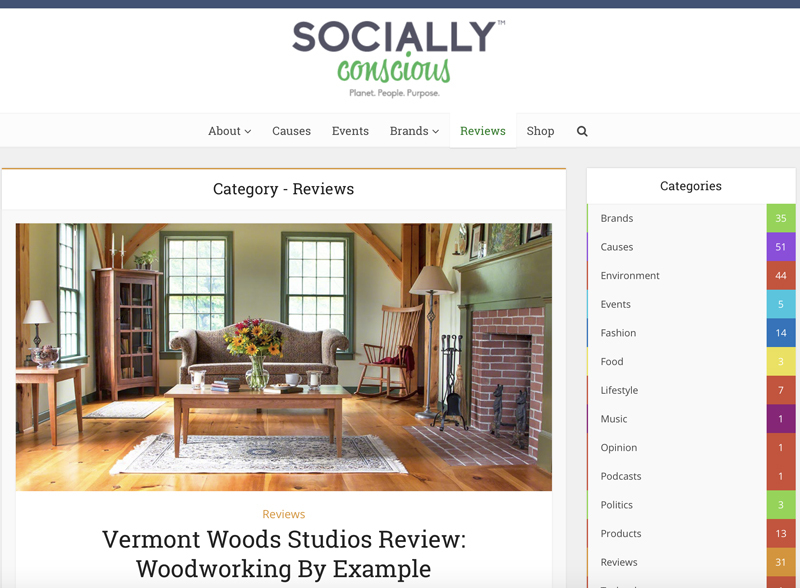 Because of you, we were able to grow Vermont Woods Studios this year, even as we struggled to compete with online giants. Your customer reviews & word of mouth are our secret sauce and we are grateful. 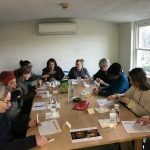 Here are some highlights of your impact at Vermont Woods Studios in 2018. Being wood furniture makers, we find an important mission in planting trees for future generations. 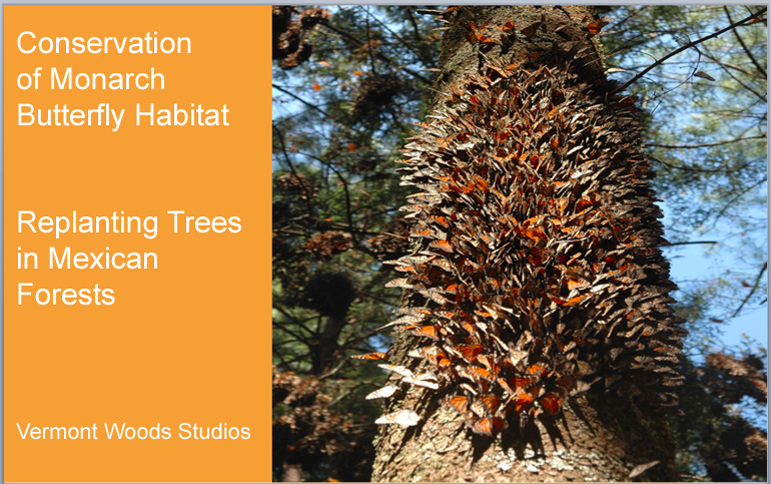 Through our partners, including Forests for Monarchs, we’ve planted almost 58,000 trees since our start in 2005. You just never know what you’re going to find at our annual Vernon Beach Clean Up. From left to right: Jake Checani, Riley Farabaugh, Geoff Strawbridge, Sean Henry, Ken Farabaugh, Mike Jenkins, Martin Corbin, Liz Francese, “Jerbo” and Peggy Farabaugh. 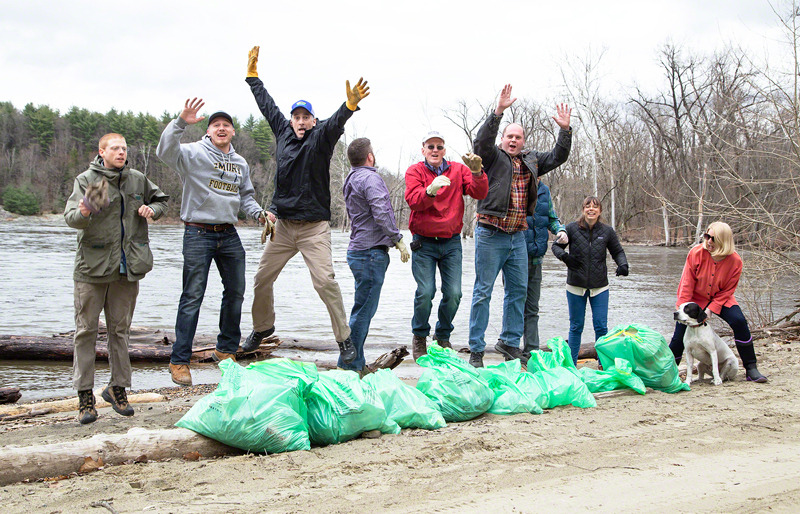 We volunteer as part of a state-wide Green Up Day. 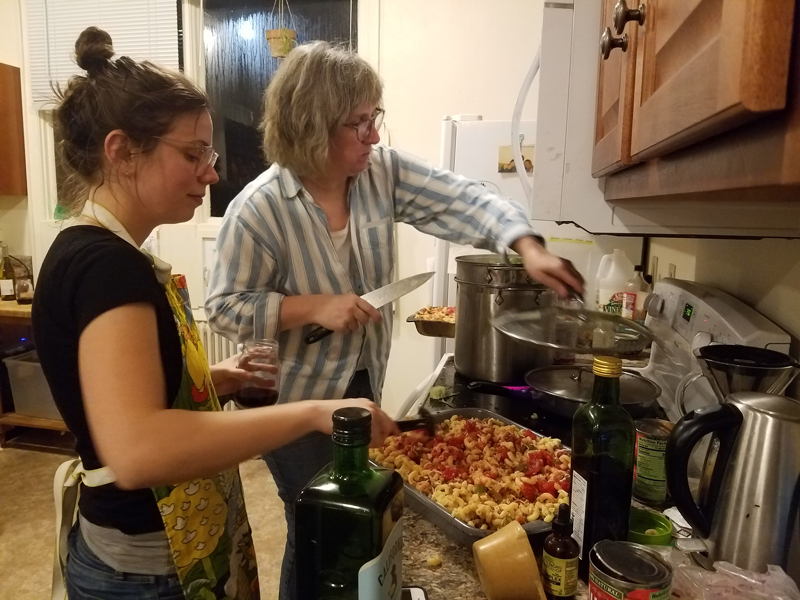 Liz and Michelle are making American Chop Suey for a shelter in neighboring Brattleboro, VT. Liz is leading this project where we provide dinner for the homeless on cold winter nights. Our annual 3rd grade field trip gives local kids an appreciation for the biodiversity of the forest ecosystem- one that is very near & dear to the heart of every Vermont woodworker. 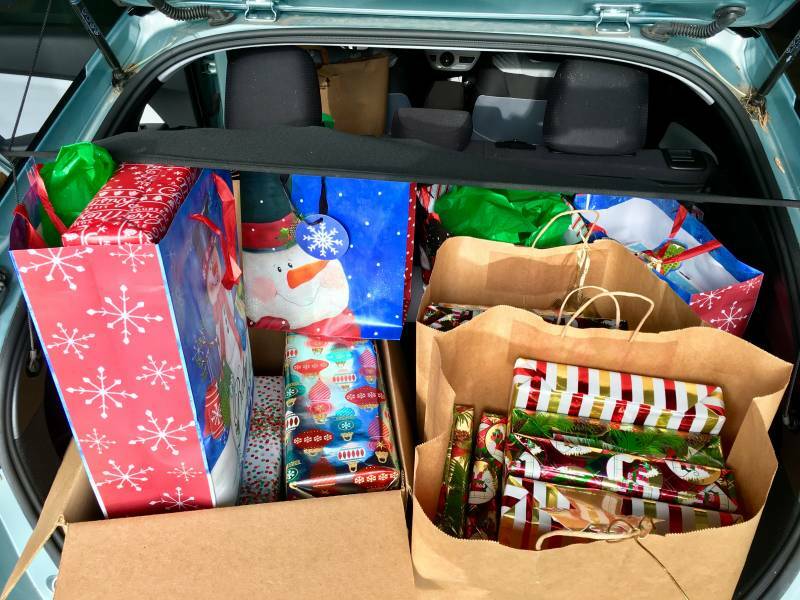 Every year we adopt local children and seniors & provide gifts to cheer them during the holidays. 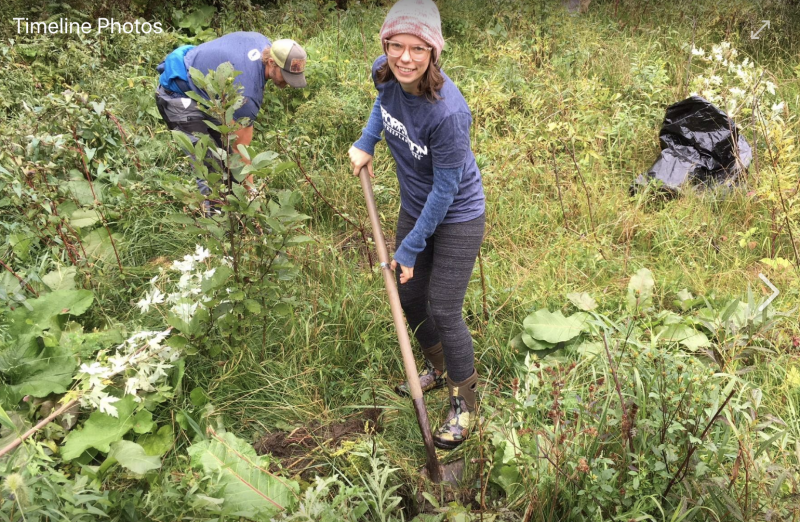 Our operations manager Liz is planting a tree on her birthday — as part of the inaugural Plant a Tree Day in East Burke, VT. These are the good people at Families First in neighboring Brattleboro, VT. They’re gathered around a maple conference table we donated. Our team also sponsored the 43rd Annual Brattleboro Rotary Charity Golf Tournament, and made donations to the River Arts Gallery, our local humane society and numerous other environmental and social non-profits. 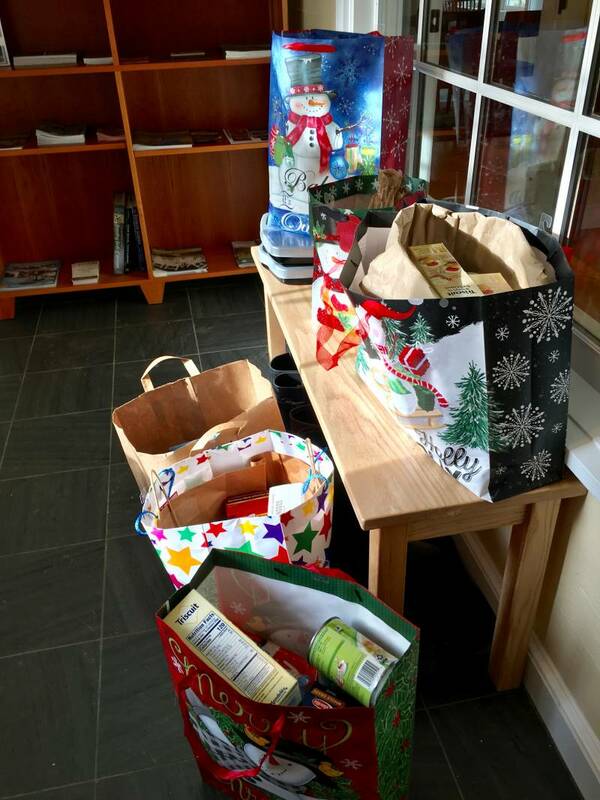 We donated food to Project Feed the Thousands which provides over 200,000 meals/year to people in Vermont and NH. Every Friday we deliver meals to seniors in the Vernon community. We’ve been serving meals on wheels since we opened our doors in 2005. 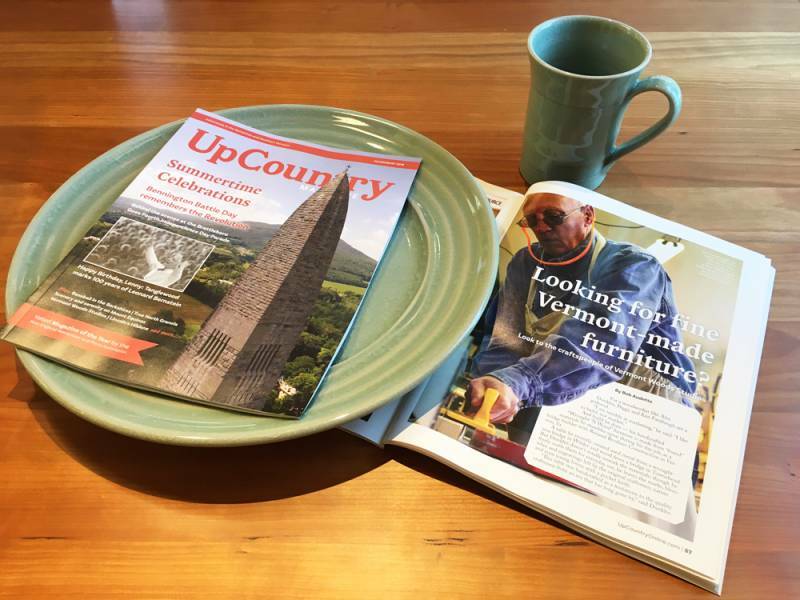 UpCountry Magazine published a story about VWS and the master craftsmen we collaborate with. 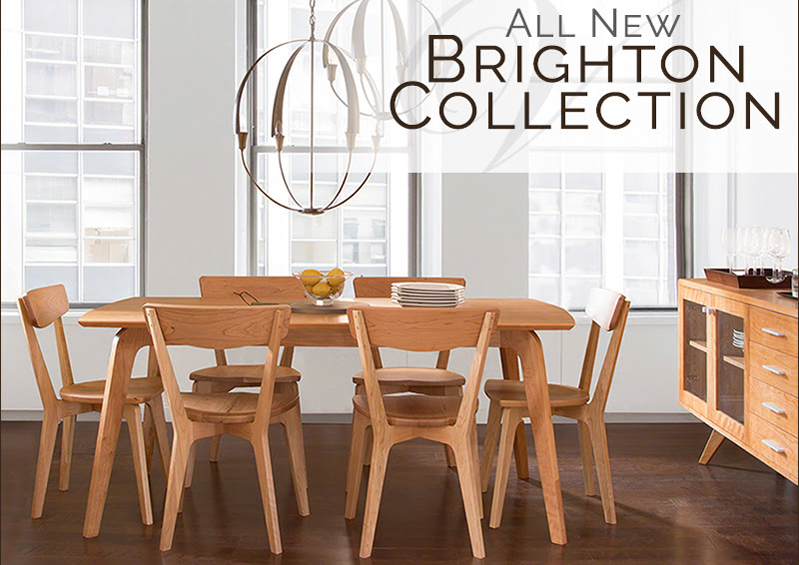 Chad Woodruff (Woodruff Custom Furniture), Alex Dunklee (Wrought ‘N Wood) and Ken Farabaugh were featured. 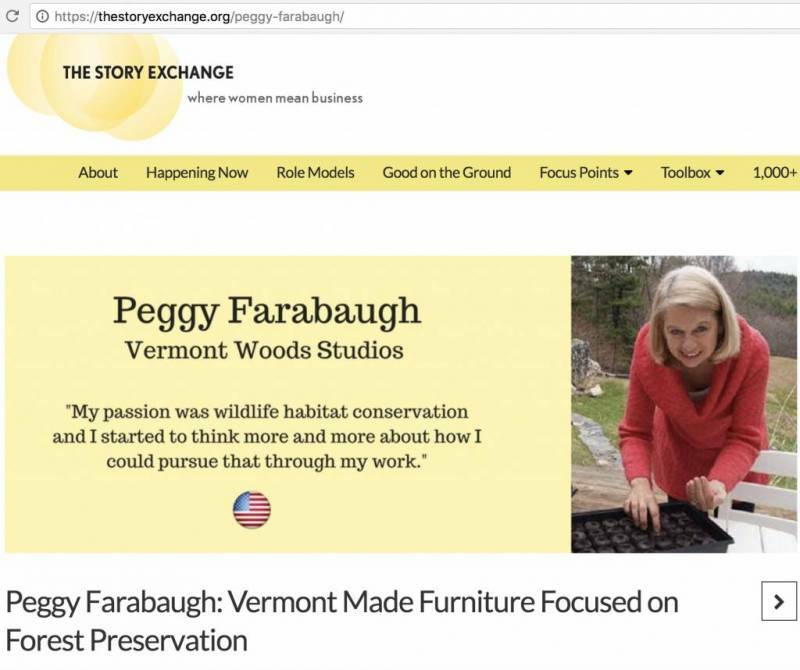 The editors at The Story Exchange featured our green business in a story about Vermont’s eco-friendly furniture. 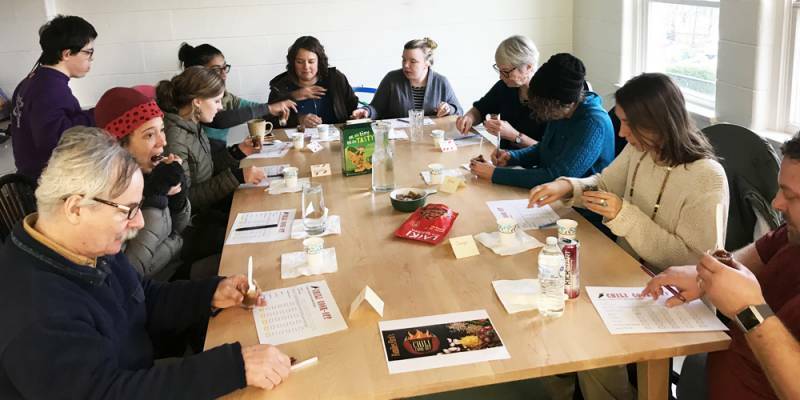 The Vermont Sustainable Jobs Fund VSJF featured VWS in an article about how your buying choices affect climate change. Socially Conscious Living published an article about our environmental mission at VWS. 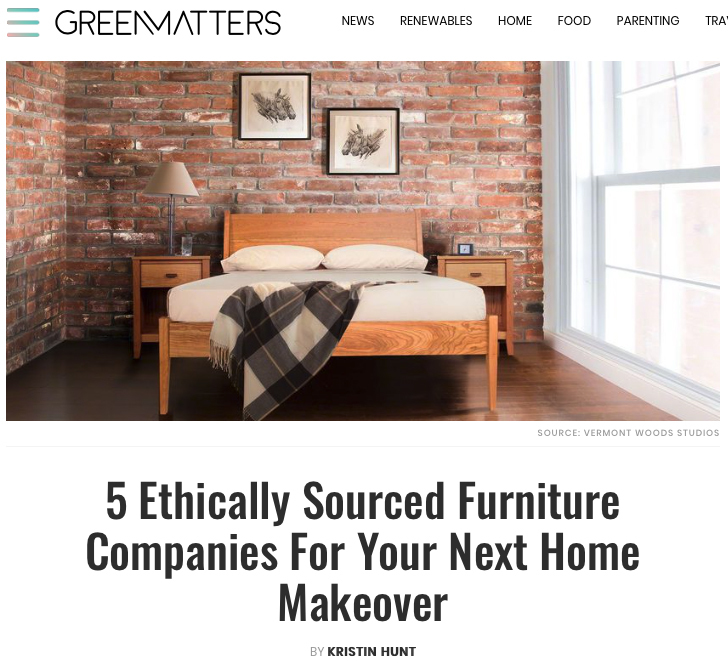 Green Matters featured VWS in an article about ethically sourced furniture. 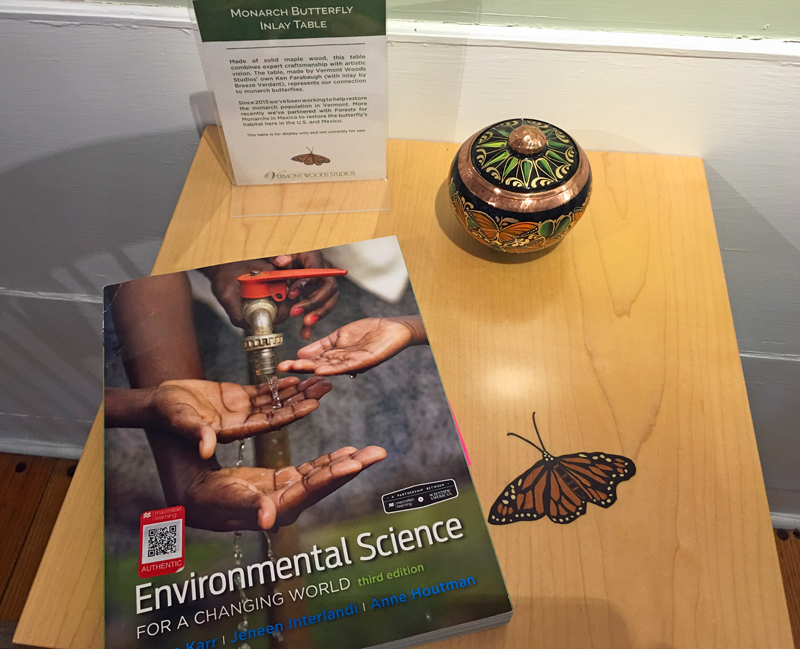 Vermont Woods Studios was examined in a case study on Green Business in this Environmental Science textbook. 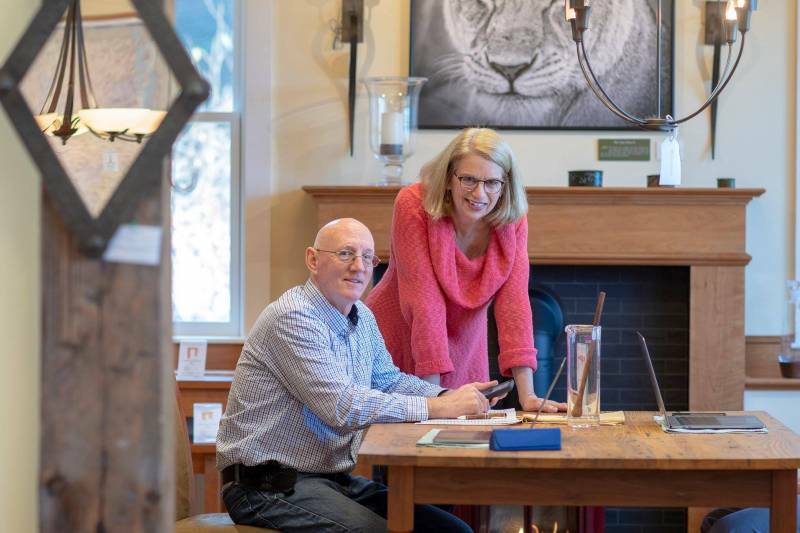 Mid-Western radio show host, Kathryn DeLong featured us on her popular “My Beautiful Home” show. 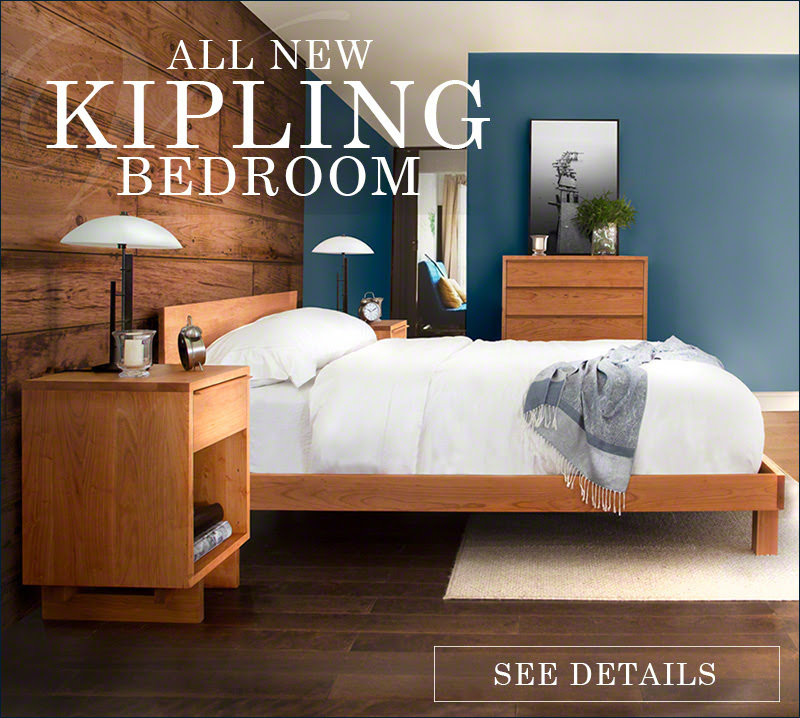 We added several new furniture styles to our collection, including Kipling, Sutton, Invigo, Statements, Essentials and Brighton. It may only last a brief and fleeting moment but for now it is true. As a small business we have to turn a profit. Wayfair does not. They will post about a $500 Million dollar loss this year. 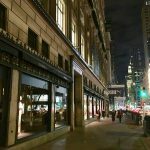 In spite of our struggles to compete with them, Wayfair has forced us to improve & be the very best we can. For that we are grateful. We know how fortunate we are to have customers like you, who share our values. From our start, customer happiness has always been our top priority. 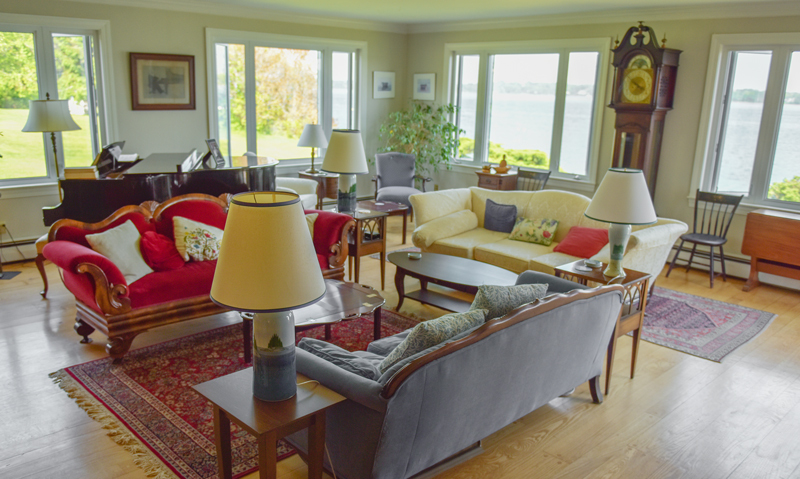 Unlike many other online furniture stores, we can honestly say our customer reviews are excellent. 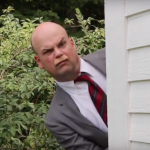 You don’t have to rely on our own Reviews page. Check out independent 3rd party review sites like Google, Facebook, Yelp and Sitejabber. Here’s the whole VWS Green Team, including Jake and Sophie. From left, 1st row: Michelle Rooks, Ken Farabaugh, “Jerbo”, Peggy Farabaugh, Riley Farabaugh. From left, 2nd row: Jacob Friend, Dennis Shanoff, Geoff Strawbridge, Sophia Rabe, Martin Corbin, Liz Francese, Neville Kerr, Jake Checani, Sean Henry & Nina Markiw. Once again, thank you for your continued support of our small green business. We wish you a happy & prosperous 2019. Please come visit us at our Stonehurst showroom one day. We’d love to meet you. 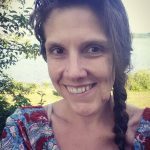 Shop Vermont Made Furniture & Home Decor Today!